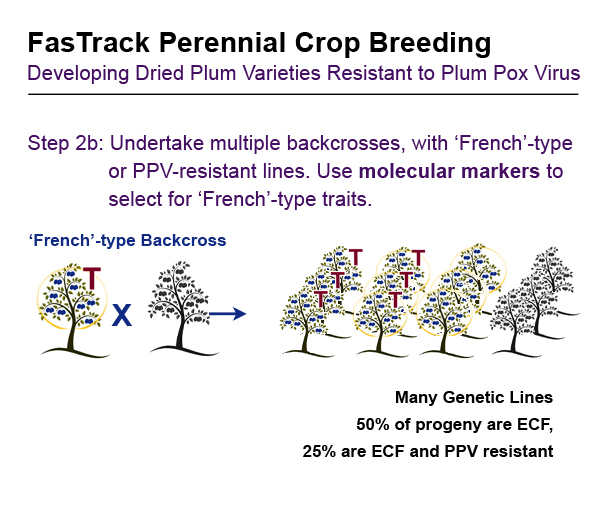 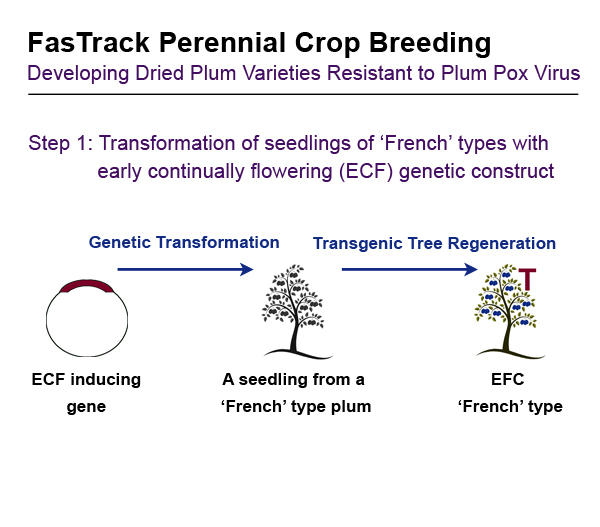 FasTrack breeding technology integrates Laboratory and greenhouse breeding at the Kearneyville facility with the major Dried Plum breeding program at UC Davis, targeting traits highly desired by the industry. 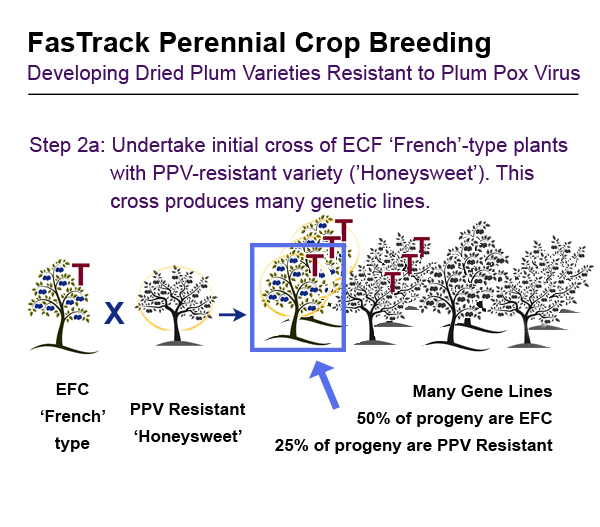 Two major objectives were developed: the first is to develop the system and the second is to apply the system to plum breeding for two desired traits: Plum Pox resistance and high-sugar content. 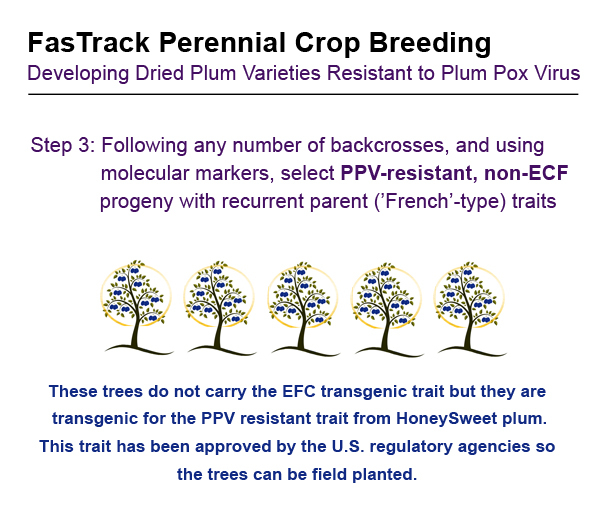 Objective 2: Applying the Fastrack System tp California Dried Plums, with a focus on two major desired traits: Plum Pox resistance and high-sugar content.